I bought these to use after buying the tommee tippee ones. I found these spoons to be better for a young baby weaning. The dip in the tip of the spoon is shallow meaning not a lot of food gets stuck and left behind on the spoon. They are very soft and bendy which is also great for the fact my daughter is also teething so her gums were sore so these were gentle on her mouth as she was feeding. I felt she enjoyed using these spoons more than the other type we had bought. I have used these spoons loads now and they have come in handy. The only downside the green one is starting to discolour. Easy to hold and it’s encouraged him to hold a spoon. Such a great price, amazing product will definitely recommend easy to use and clean lovely colours babies love holding them and looking at them. These spoons are brilliant for starting to wean baby. The shape is perfect for little ones hands and the handle isn't too bulky. The actual spoon part isn't too big and so my little boy doesn't have a problem getting both spoon and food into his mouth. They're soft so they also help that little bit with teething when little one chews on them. I love that they come in all different colours and they don't discolour when they're washed- even in the dishwasher. Price is great and they're a long lasting product as I still have ones in great condition from 3 years ago. Highly recommend. Great for porridge and fruit purée foods, due to the shape and size of spoon head. 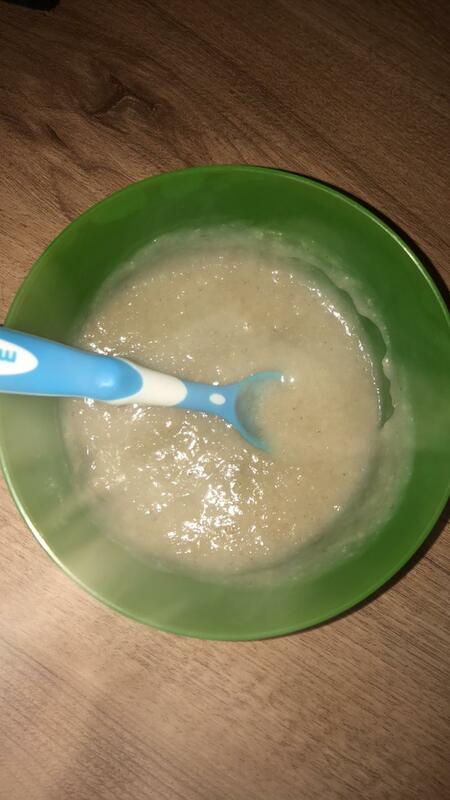 I would defiantly recommend if just starting to feed baby solids, not so good with chunkier food as head of spoon isn’t the correct shape to hold the food. Overall a great product. I used these for my eldest when weaning and am currently using the exact same ones I bought 2 1/2 years later for my youngest to start her weaning. Great set to spoons, reasonably priced and last a long time when wel kept. Very flexible and soft for baby's mouth. Absolutely loved these spoons when I started weaning my sun. They were easily washable and didn't stain with baby jars. Very flexible as my son liked to clamp down on the spoons when he was teething. Doesn’t hurt gums. They are very good value for money. Lovely bright colours. I like these spoons! When I started to feed my baby I purchased them and we are still using them. They are a very good quality and the design is nice, I also like the colors. Easy to use. Too long. Could never get all off the spoon. I purchased this product on offer one Tesco. I didn’t like them at all to be honest. They are really long and I found that my daughter struggles to take all the food off of the spoon, we have never experienced this issue with other spoons we have used. I had to purchase more spoons after as we didn’t like them. These are fab, my teething toddler has prev cried when I put other spoons in his mouth but these are shaped differently and have made a real difference. They do seem really long and poke out the top of the pocket on my change back, they’d be perfect an inch shorter but it still doesn’t put me off! Def recommend them! These spoons are the perfect shape & size for mum's & dad's to hold easily. 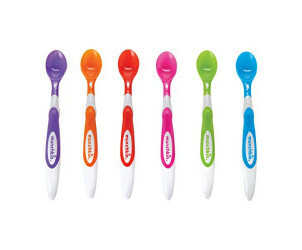 The spoon is a great size for babies mouths and the soft silicone is perfect for not hurting their little gums! Lovely, bright & colourful and they wash really well. Would highly recommend! Great price also. I love the munchkin spoons. They are one of the brand of spoons that are not rock hard plastic, therefore cause no tears at feeding time. I like that they’re dishwasher safe, too. We have been using these spoons since my (now 10 month old son) started weaning and I wouldn’t use any others! Always used a different brand for weaning spoons but these were on offer so thought I would give them a go, wow ! I love them and so does my son! He actually eats/takes his good better off these than he does the others I have ! Will definitely be stocking up on these ! Just the right size and easy to wash and store due to the slim design. 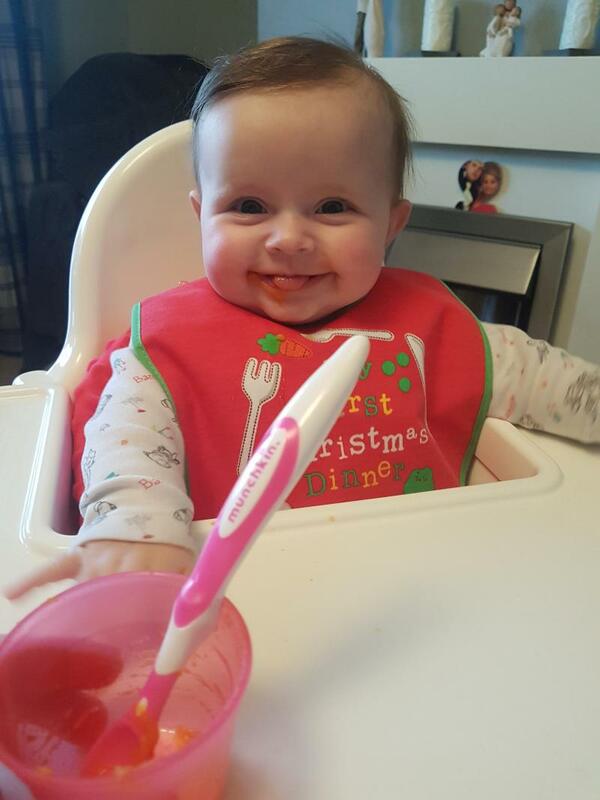 Mealtimes are easier when you feed your baby with the right utensils. 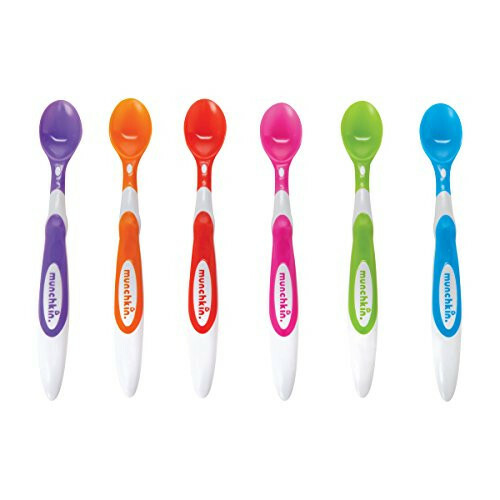 The Munchkin Soft Tip Infant Spoons have a rounded shape that's soft on your baby's gums. The special handle is ergonomic for a comfortable grip, and the perfect length to reach the bottom of food jars. They're practical, fun and colorful.